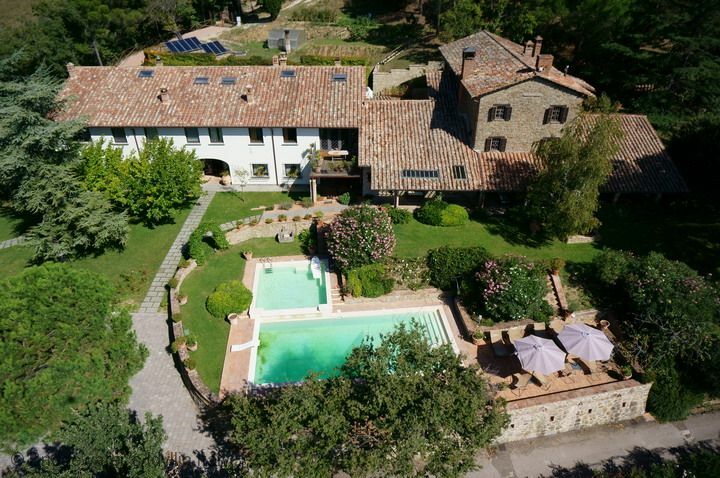 Villa Provincia a fascinating manor house built in 'pietra serena' (a type of grey stone typical of Tuscan and Umbria). 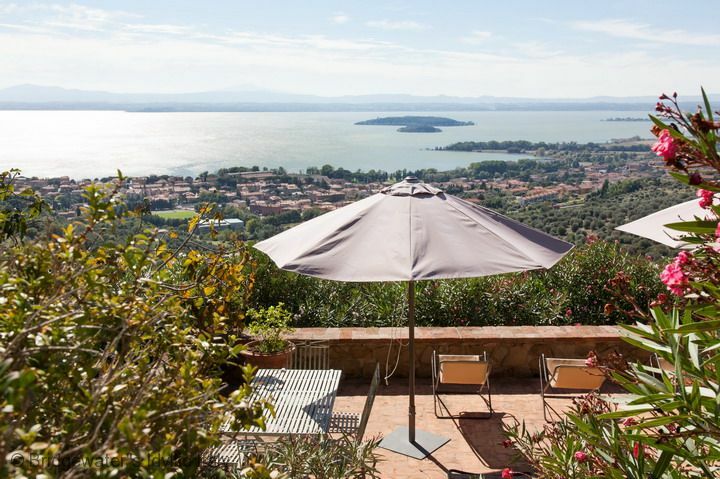 This property is nestled in a little corner of paradise, overlooking the extended Lake Trasimeno. The curvy lines of the gardens blend with the skyline and everything fuses together in front of you in a dreamy view. The outdoor area features a fully-equipped solarium terrace, perfect to unwind and sunbathe. 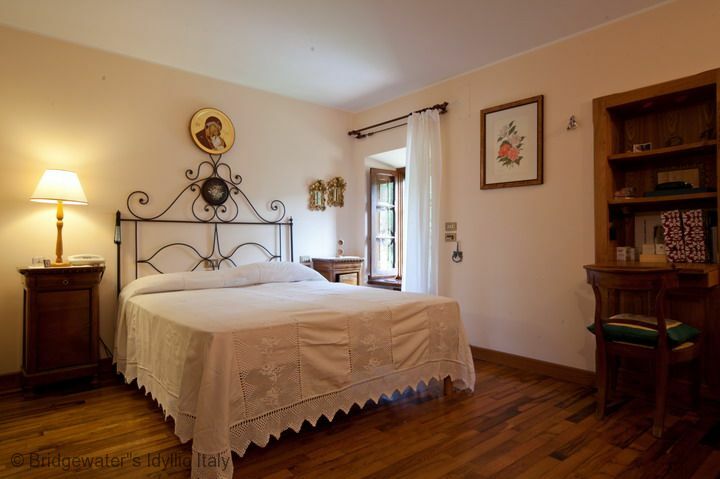 This Villa is spread on two levels and it sleeps comfortably 9 people in 5 bedrooms. The ground level features an elegant living room characterized by the stone-made fireplace, two dining rooms and fully-equipped kitchen. A second sitting area lies nearby the kitchen and comes with comfortable sofas and a working fireplace. The interiors are adorned with exquisite period furnishings but are studied to be absolutely functional. A half-bathroom lies on this floor.Ascending an evocative staircase you reach the night area that comes with 3 elegant doubles and a single bedroom, each of them features an en suite full-bathroom.The Suite, that lies as well in the main building, provides another double bedroom with full bathroom. The sofa bed in the living room can be turned into another double bed providing a sleeping accommodation for two more people. 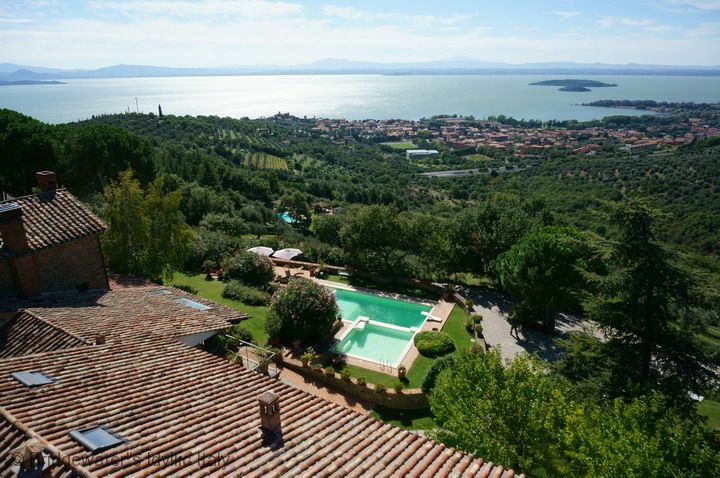 Villa Provincia's huge pool is a real jewel that looks like fusing together with the lake. The pool is divIded into two section. The main pool is large and the depth goes from 1mt to 2.5mt high. On a corner of the pool there is a tub with hydro-massage perfect to sit and relax. The smaller pool 4x4mt, located adjacent to the other one slightly on a different level, is shallow and suitable for kids and it is great to sunbath being gently touched by water. Both garden and pool are equipped with chairs and loungers and provides areas either in the sunlight or shady. Being located on a beautiful hillside, this property guarantees cool stays even in the wormer months of summer due to the pleasant night breeze that comes from the lake. 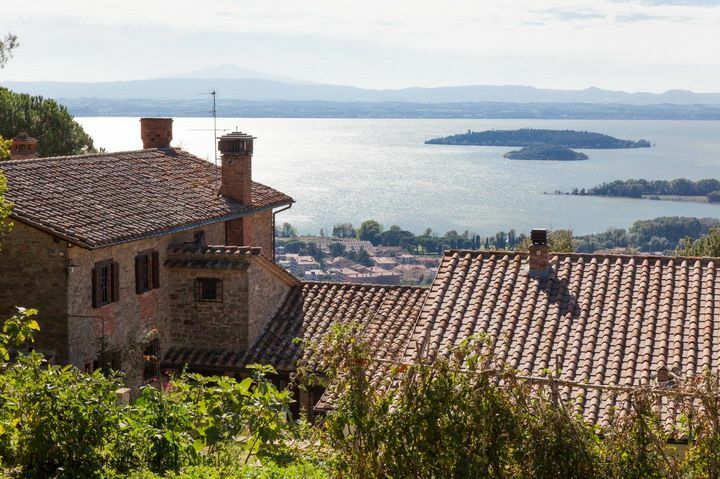 The lovely town of Passignano Sul Trasimeno, popular for its romantic lake promenade, offers many activities to do such as the day trips to the islands, and it provides many restaurants to try all the local dishes with Porcini mushrooms, truffle or wild boar, together with summery bruschettas and good selection of wines. 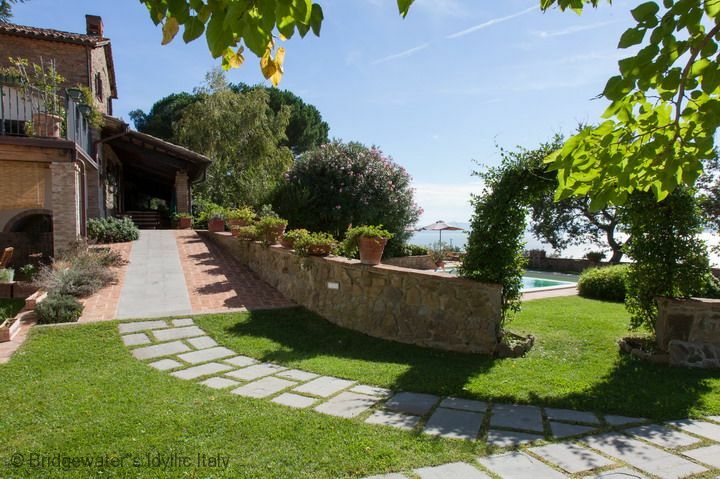 The superb location along with the high level of the villa are the perfect beginning of an unforgettable holiday in Italy! 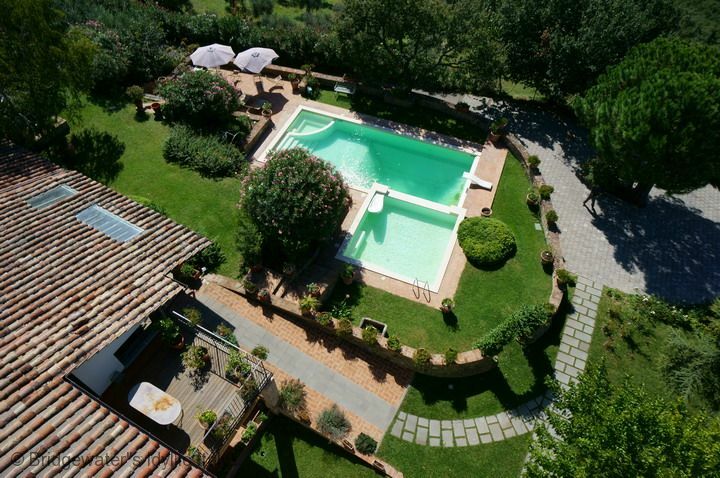 Villa Provincia is adjacent on one side to the owners' Villa Padrondale but your privacy would not be affected by this in any way since the villas have two separate private accesses and the garden and the pool would be for your private use only.